See documents below for Planned Parenthood South Atlantic and Planned Parenthood Central North Carolina. 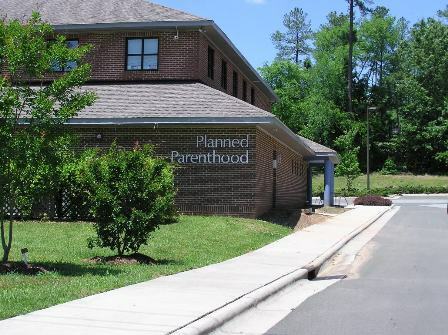 For more info on PP South Atlantic, click here for Winston-Salem Health Center - Planned Parenthood. Clinic lab inspection and deficiencies list, with other documents. Includes proficiency testing scores, and lab survey from 01-18-2017 (see last page). Physician assistant license for Easton Rice III. Rice earned $107K as regional lead clinician for PP South Atlantic in 2015. See 2015 tax form below. NC Health Dept correspondence regarding clinic inspections & Plans of Correction. 2015 Tax form for Planned Parenthood South Atlantic. Director Katherine Farris was paid $262,192 salary. See page 15. (Farris is a family medicine doctor, and practices at the Winston-Salem PP.) Also see Regional Lead Clinician Easton Rice (physician assistant), with a salary of $107, 092. See page 15. 2015 tax form for PP South Atlantic. Screenshot of page 15, showing Easton Rice as "regional lead clinician," with a salary of $107K. Lawsuit over funding for PP.